''Seas the Day!'' 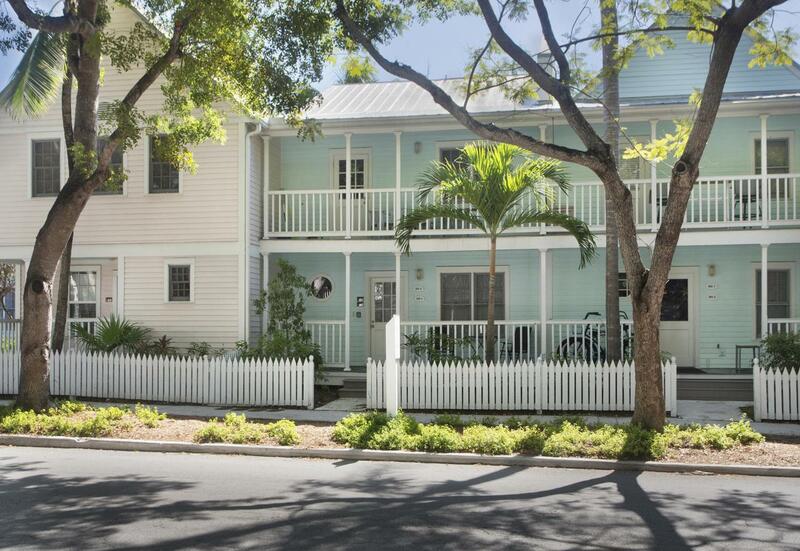 This newly updated transient licensed 2-bedroom 1 bath first floor condo is located in the Shipyard section of the Truman Annex facing Southard Street If you are looking for a great location central to all that Key West has to offer, look no further! Park your car in your dedicated parking space and leave it for the duration of your stay. A 15 minute walk gets you to the beach at Fort Zachary Taylor. A 5 minute walk gets you to the boutiques, restaurants, attractions and nightlife on Duval Street. 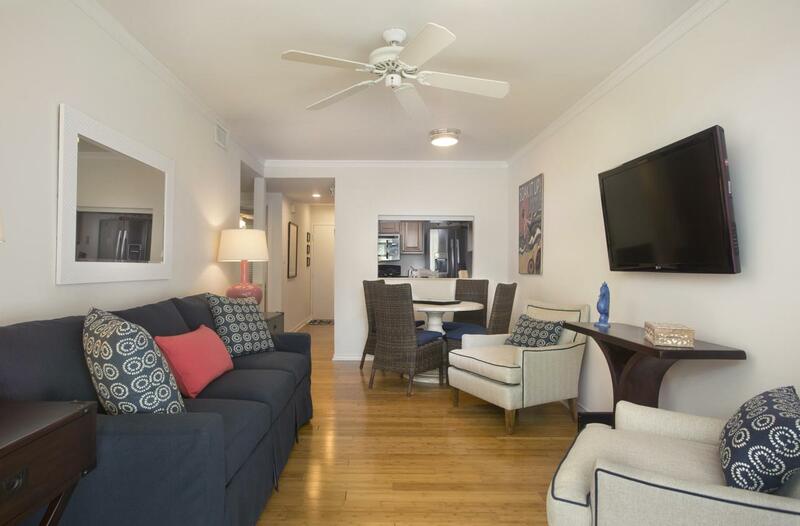 Enjoy 2 bedrooms, beautifully appointed and a newly refurbished kitchen and bath. Comes completely furnished with management in place. 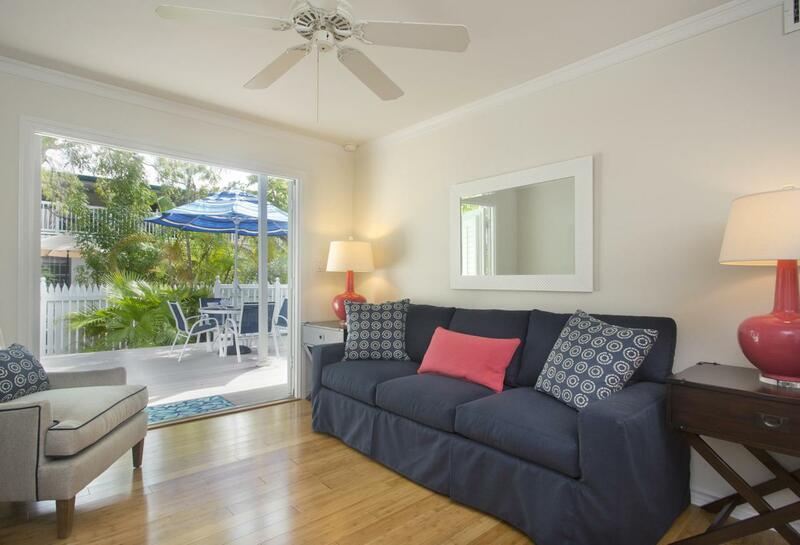 After sight seeing, return to your Key West home and relax on your large outdoor patio.Chaise lounge chairs, dining table with umbrella are there for you to enjoy. 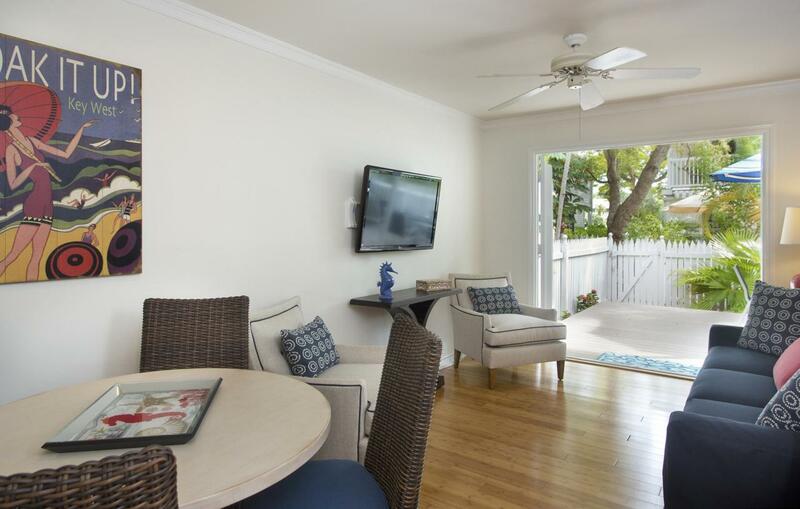 Open up the French doors to your living room where you will find new and comfy furniture, a flat screen tv, cable and WIFI. There is a dining room set that seats 4 with a pass through to the galley kitchen. Granite counter tops and stainless-steel appliances will make the family cook happy! Each bedroom has its own tv and new comfortable Queen bed. The Shipyard has an extra large pool for its guests to enjoy with plenty of lounge chairs for you to work on your tan. What are you waiting for? "Seas the Day!"